Growing families seem to be choosing compact crossovers more frequently these days than traditional SUVs and minivans. Two fine examples are the Nissan Rogue and Honda CR-V. Both are fuel-efficient and spacious, and they can be equipped to near-luxury levels of comfort. Plus, they retain much of the appeal of a full-size SUV, without the added heft and rock-scrambling ability—all at prices that are about the same as a mid-size sedan, or maybe even a little less. The latest Nissan Rogue offers a racier, uniquely-styled alternative to box-on-box crossovers. Meanwhile, one of our perennial favorites, the Honda CR-V can look a little awkward from some angles, but its jutting front bumper and tall tail lamps hide a terrific utilization of space. Both offer up a blend of safety, practicality and comfort, but when compared head to head, one stands (slightly) above the other. 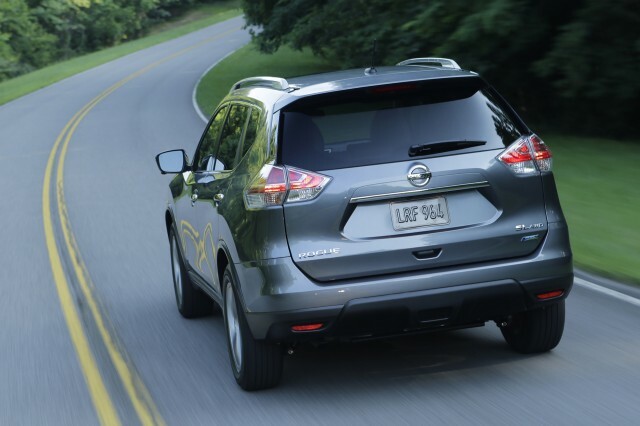 Nissan’s Rogue, like the larger Nissan Murano, doesn’t look like any other crossover vehicle on the market. Redesigned just last year, the Rogue offers the flexibility and cargo-hauling capability of a small SUV, but drives more like a sedan. In fact, those coming from a small sedan may find the Rogue to be more to their liking than many other compact crossover choices. 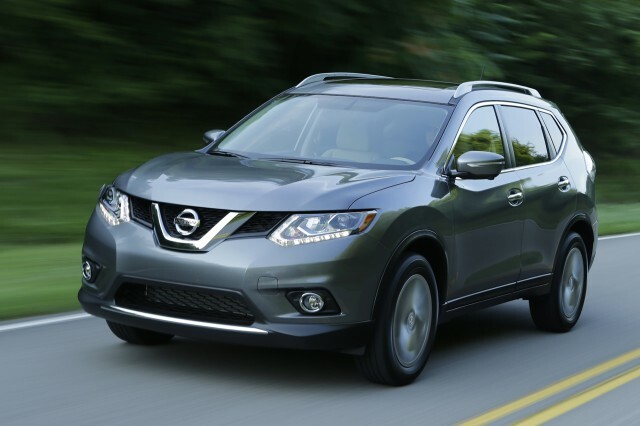 The Rogue has a 2.5-liter 4-cylinder engine that delivers 170 horsepower. With its continuously variable automatic transmission (CVT), it delivers reasonable acceleration, taking around 8.0 seconds to run from 0-60 mph. Front-wheel drive is standard, but all-wheel drive is available for those who want it. Added traction comes at a price, though: In addition to raising the sticker price, all-wheel-drive lowers fuel economy by a few miles per gallon. CR-V LX models utilize a largely carried over 2.4-liter inline-4 engine rated at 184 horsepower and 180 pound-feet of torque. All other trim levels, including the EX, EX-L, and Touring, make use of a more advanced 1.5-liter turbocharged 4-cylinder that checks in with 190 hp and 179 pound-feet, the latter of which is spread across a much wider range of the engine's revolutions. That translates to far quicker acceleration and passing power with from the turbo model than from the standard engine in the LX. Both models make use of a CVT. Neither of these two models are all that sporty, and it's fair to say that they both prioritize ride over roadholding. The Honda feels perhaps a little more nimble (and tight from wind noise, thanks to double door seals), while the Rogue feels more substantial and damped from road noise (and perhaps slightly sportier) yet it allows a bit more engine noise into the cabin. Provided you don't need the convenience of a third row, for carrying kids sometimes—which only the Rogue offers as an option—it's really a tradeoff between these two in interior usability. 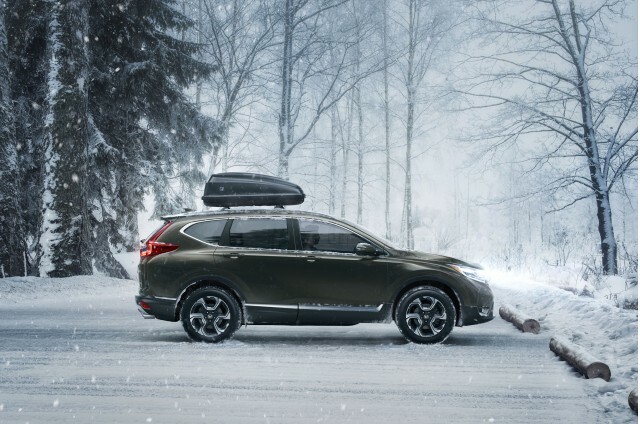 Although ultimately the CR-V has an advantage when you need to take advantage of every bit of space. The Rogue offer seating that’s neither too high nor too low. The back seat is roomy enough for two adults or three children, and there’s ample cargo room for hauling the trappings of modern life. A low cargo floor also makes loading and removing heavy or bulky items that much easier, adding to the Rogue’s appeal. In the CR-V, cargo space is especially generous with the rear seats in place; and with them folded, the CR-V has a cargo floor that’s over five feet in length. 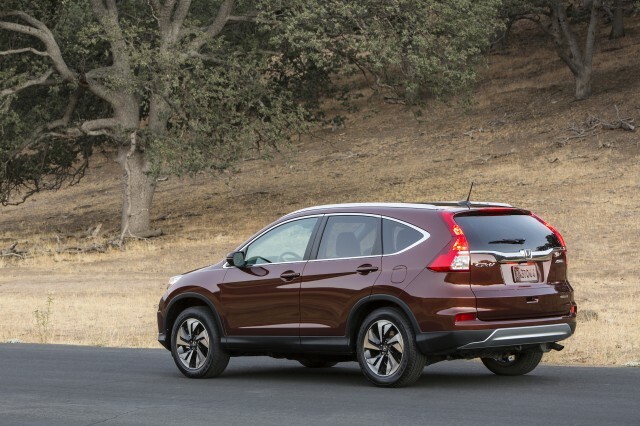 It’s lower than on previous CR-V models as well, which helps loading and unloading heavier objects. 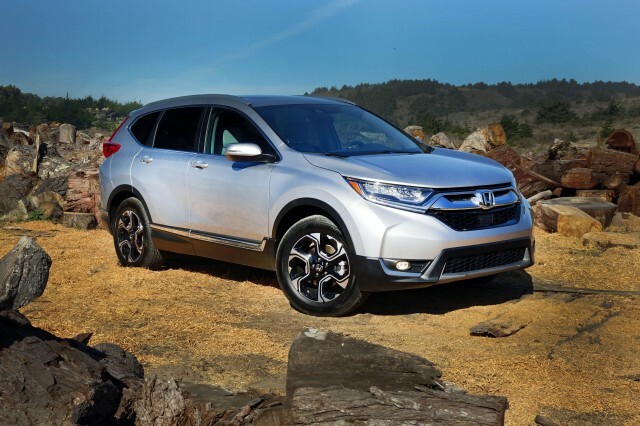 The Rogue is an excellent choice for a compact crossover, but Honda has also really hit the mark with the passenger comfort and versatility aspects in the latest CR-V. We like the one-hand, one-strap rear-seat folding arrangement better than anything else in the class, and we’re glad to see that Honda has upped features and content even on base models. Both front and rear seat comfort has been improved, too, making the new CR-V one of the better vehicles in the class for road-trip comfort. As for safety, the Rogue has done relatively well in crash tests; it's already been named an IIHS Top Safety Pick+. Yet in federal crash tests the Rogue was given a four-star overall rating. 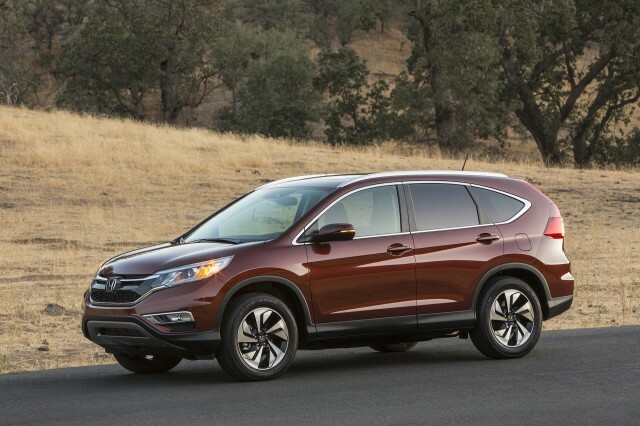 The latest CR-V hasn't yet been subjected to the full barrage of crash tests, but we applaud Honda for making automatic emergency braking standard on all but the LX model. On the Rogue, it's a pricey option. The Honda CR-V also received upgraded infotainment screens for 2017, as well as rear-seat heating and air-conditioning ducts, and top-trim models include some pretty impressive leather upholstery, dual-zone climate control, and added features such as Apple CarPlay and Android Auto. 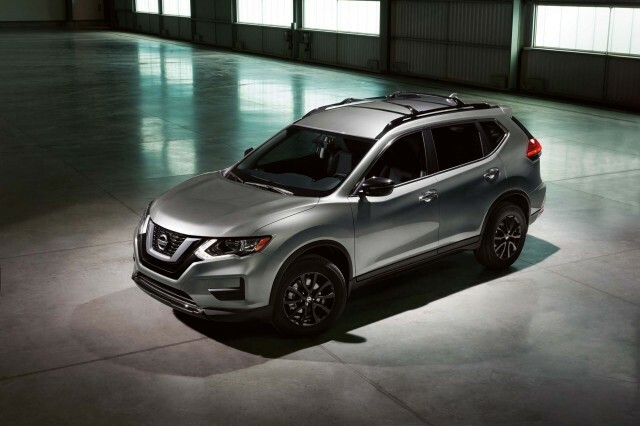 The Rogue is definitely in the same range from a features standpoint; strong points from the features list include well-coordinated surround-view cameras (good for parking), excellent Bose audio, and an available panoramic sunroof. It's easy for us to call the Honda the winner here, for its superior passenger comfort, better safety ratings, and somewhat better drivability. If you need that third row, the scales could be tipped in the Rogue's favor. Either model represents an excellent choice, and we’d recommend you drive them back to back before making a purchase decision. The 2017 Nissan Rogue could beat the world of compact crossover SUVs, were it not for mediocre performance and safety ratings. The Rogue doesn't go out of its way to shock or awe crossover-SUV shoppers. Performance? Yes, there is some, but the Rogue focuses mainly on a compliant ride. Superb front seats and an available third-row bench give the Rogue a leg up against other compact crossovers. The Rogue fares well in IIHS testing; the NHTSA doesn't agree. Nissan stocks the base Rogue pretty well, but some of the most desirable safety features only come on the most expensive model. A new hybrid Rogue ups the gas-mileage ante. We have sent your request for price quotes on the 2017 Nissan Rogue and 2017 Honda CR-V to the dealers you requested. They should be in touch shortly. Your request for a fast, free price quote on a 2017 Nissan Rogue and 2017 Honda CR-V is in process. The CarsDirect Dealer(s) listed below will contact you shortly to discuss your request and to provide a quote.